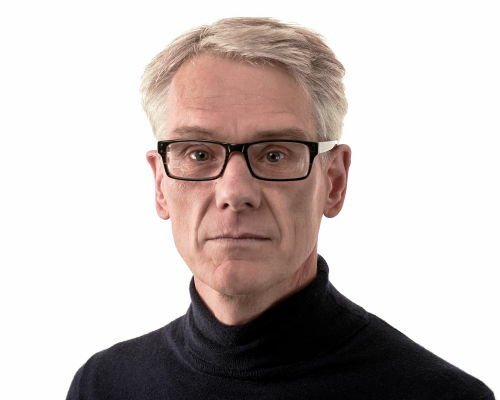 Nicolas Whybrow is Professor of Urban Performance Studies and has been a member of the Department of Theatre and Performance Studies at Warwick since 2004. He was Head of the School of Theatre & Performance and Cultural & Media Policy Studies from January 2015 to July 2017. His most recent books are Performing Cities (Palgrave Macmillan, 2014) and Art and the City (IB Tauris, 2011) and he is currently writing a book on contemporary European art biennials (for Bloomsbury). He is a contributor to Performance Research journal's expanded centenary edition (June 2018) and will also publish an item in the journal's 'On Drifting' issue in December 2018. Nicolas leads a multi-disciplinary research team in a 3-year UK Arts and Humanities Research Council-funded project entitled Sensing the City: an Embodied Documentation and Mapping of the Uses and Tempers of Urban Place. Currently Nicolas is closely involved with two of the University of Warwick's Global Research Priorities (GRPs), Sustainable Cities and Connecting Cultures. In April 2017 he convened a day-long symposium at Warwick Arts Centre funded by both GRPs and entitled Sky Blues City: Imagining a Sustainable Cultural Future for Coventry which explored new collaborative research opportunites arising from Coventry's nomination to be UK City of Culture in 2021 and the city's 10-year Cultural Strategy. Nicolas also contributed a public key-note to a symposium entitled The Biennial Effect: Biennials and Place-making at the first Coventry Biennial of Contemporary Art in October 2017 and is now a member of its advisory board. I am also interested in theories and practices of the everyday, as well as in experimental writing that seeks to integrate creative and critical concerns. 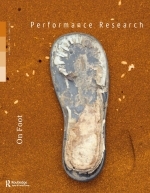 I have been a regular contributor to journals such as New Theatre Quarterly and Performance Research (including artist's pages and, with Carl Lavery, as issue co-editor of 'On Foot'). For many years I was a member of the editorial board of Research in Drama Education journal, for whom I also co-edited (with Sally Mackey) a special issue on site and place (in 2007). 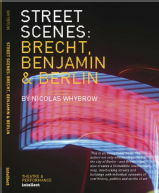 My book Street Scenes: Brecht, Benjamin and Berlin, for which I received two AHRB research grants, appeared in 2005. A further book entitled Art and the City, which received AHRC research funding, appeared in 2011 and in 2010 I published a curated portfolio of key documents entitled Performance and the Contemporary City: an Interdisciplinary Reader. In Autumn 2014 my edited volume Performing Cities appeared. 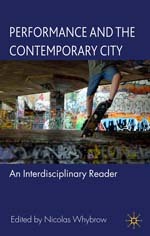 This has chapter contributions by a range of scholars and artists exploring innovative approaches to writing the performing city (including Sue-Ellen Case, David Williams, Gay McAuley, Freddie Rokem, Mark Fleishman, Heike Roms and Mike Pearson). In January 2012 I was invited to give a keynote on public art in the city of Turku in Finland. The event marked the conclusion of Turku's shared role (with Tallinn, Estonia) of European Capital of Culture in 2011. More recently I have been invited to give papers at various major European events concerned with the role of art and performance in urban contexts, including Belgrade (Mikser Festival), Copenhagen (Metropolis Lab) and Cologne (International Congress of Geographers). In November 2014 I was a panel and keynote contributor to Stadt Kunst Linz, a public symposium on art in public space at the Architekturforum Oberösterreich, Linz, Austria. The event was broadcast on regional television and a 15-minute radio interview given (in German) to Radio FRO 105.0, broadcast 14th November 2014. In 2017 I contributed mounted artist's pages entitled “Watermarked: ‘Venice Really Lives Up to Its Postcard Beauty’” to the exhibition Desert Fictions at Magacin/Great War Island, Belgrade, Serbia, 8th-22nd July. The exhibition was curated by Dr Marko Jobst, Department of Architecture and Landscape, University of Greenwich, London and will tour to other European venues. I have been invited to give papers at several Performance Studies international (PSi) conferences (in Mainz, Singapore, New York City, Toronto, Utrecht and Hamburg), as well as in a variety of disciplinary contexts (including Media Studies, German Literature, Contemporary Dance, Geography, Sociology, Film Studies, Architecture and Visual Art). In May 2010 I gave an introductory public lecture at the screening of Jean Vigo's À Propos de Nice (1930) and Walter Ruttmann's Berlin: Symphony of a Great City (1927) as part of the British Film Institute's Essential Experiments season at the National Film Theatre. In 2009 I was awarded an academic fellowship by Warwick University's HEFCE-funded Reinvention Centre to undertake a research project with students doing my 3rd year Performance and the Contemporary City module in the academic year 2009/10. Entitled Performing Venice: Questions of a Sinking City, the project involved embarking on a field trip to Venice and subsequently creating an 'embodied mapping' of the city. Ever since then the city of Venice, and its International Art Biennale in particular, have becomne a focus of research attention for me with chapters and articles appearing in a range of books and journals. In 2015 I was invited to contribute a paper on Alfredo Jaar's installation Venezia Venezia at a conference in Venice entitled 'Sustainable Futures: Survival of the City'. This took place under the auspices of the Connecting Cultures and International Development GRPs at Warwick's Palazzo Pesaro-Papafava in celebration of the University's 50th anniversary. Nicolas is on study leave until June 2020 but recent teaching has centred on Live Art and Performance in the second year, which was a practical and theoretical module on contemporary experimental approaches to making work and, in the third year, on the Performance and the Contemporary City option. The latter investigated performance that intervenes or operates directly within city sites, or which draws inspiration specifically from urban contexts. In addition he supervised practical and theoretical projects on the third-year Independent Research Option, as well as convening and teaching on the first year module Contemporary Performance Practices. Nicolas currently supervises five PhD students, including practice-based ones, and welcomes applications to study for MA by Research, MPhil and PhD on areas of research interest relating to those outlined above. Nicolas has co-supervised PhDs with the Departments of German Studies and Sociology, as well as Warwick Business School and the Centre for Education Studies. Currently Principal Investigator on the 3-year AHRC-funded Sensing the City research project leading a team of ten members.